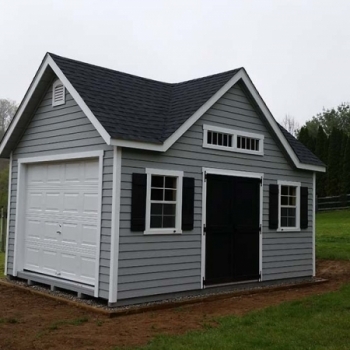 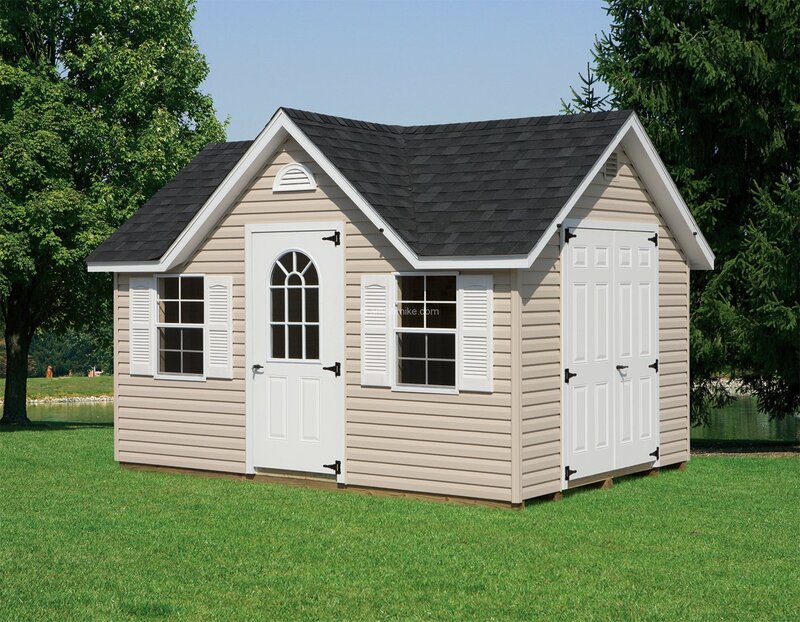 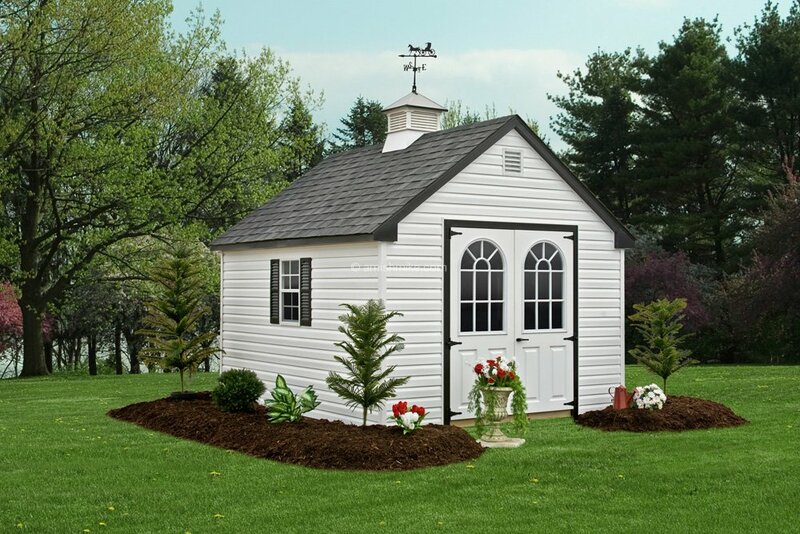 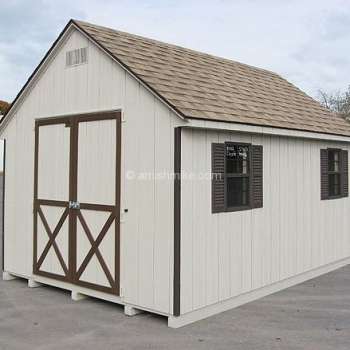 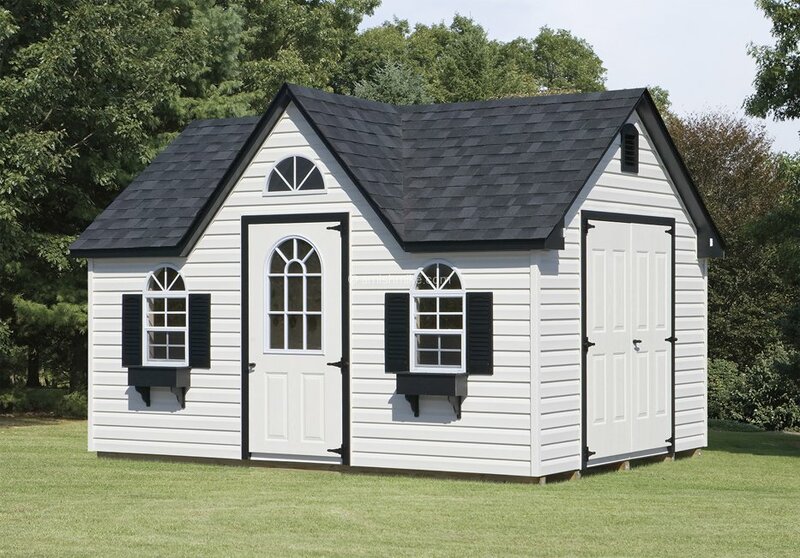 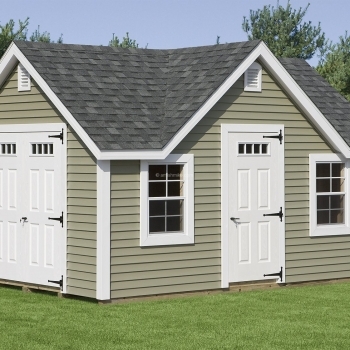 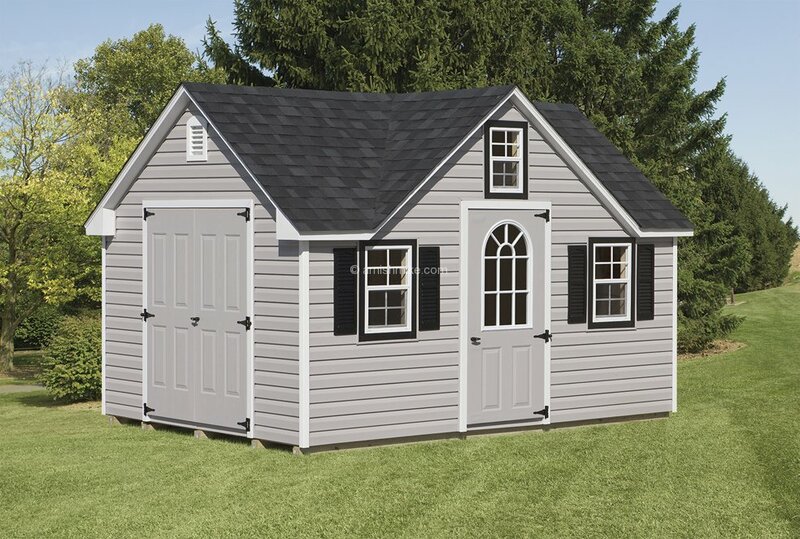 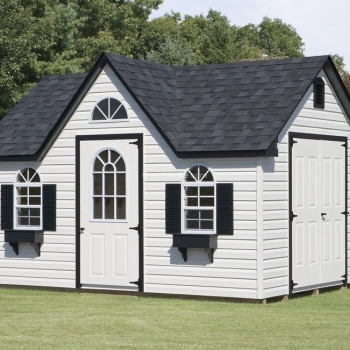 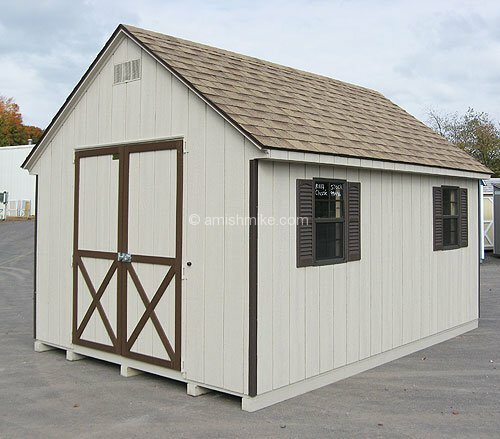 Amish Mike’s Sheds and Barns also features the Signature Colonial which is one of our newer designs. 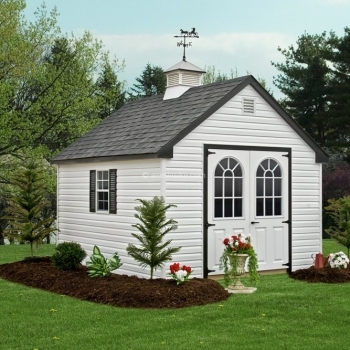 It features doors on the gable end with window(s) placed to order. 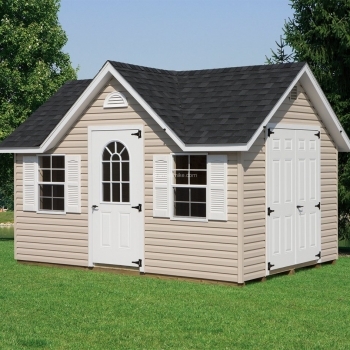 The wall height is 6′ but is has a 9 pitch roof. 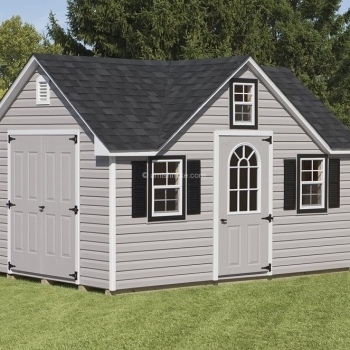 A very popular option is to add a dormer that allows for an additional extra single door to the dormer. 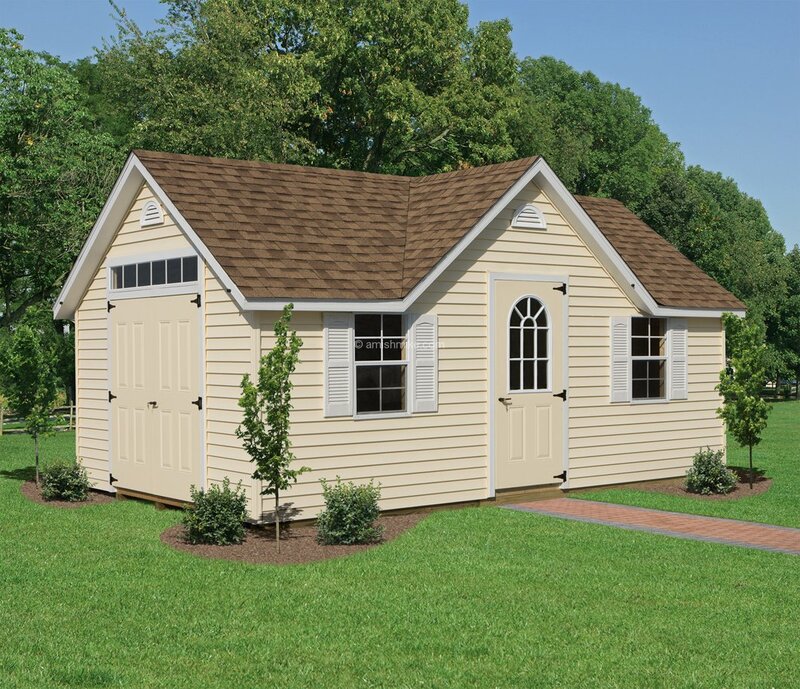 This model is available in the Traditional, Deluxe, or New England Series. 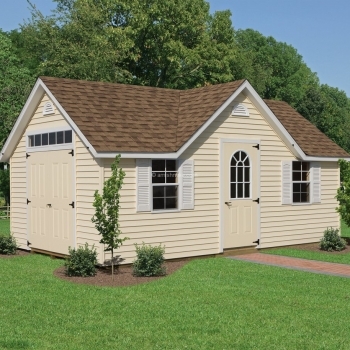 Another popular option is a transform dormer in this model.